Do you need Planning Permission for Outdoor Living Pods™? Find out what you need to put a Pod in place. Our Outdoor living Pods™ have been designed to combat the elements so that you can enjoy outdoor living for longer. Every feature has a purpose, whether it is to protect or enhance the space. 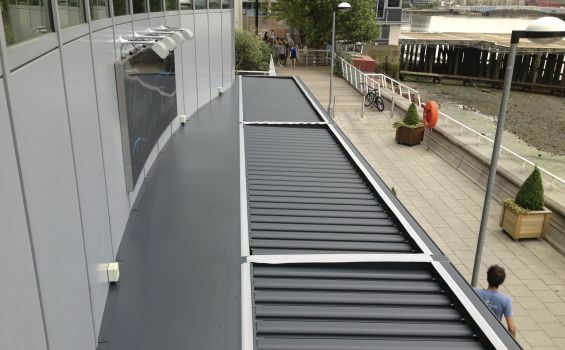 It has screens for wind, sun and rain protection, it has integrated guttering to keep the space dry and electronically operated louvers to adapt to the weather conditions and your needs. The Outdoor Living Pod™ has been recognised for its efforts, it has won awards for its accomplishments due to the detail and quality of its structure. Can you add Glass Walls to your Outdoor Living Pods™? As smart as it may look it can be more trouble than it is worth. 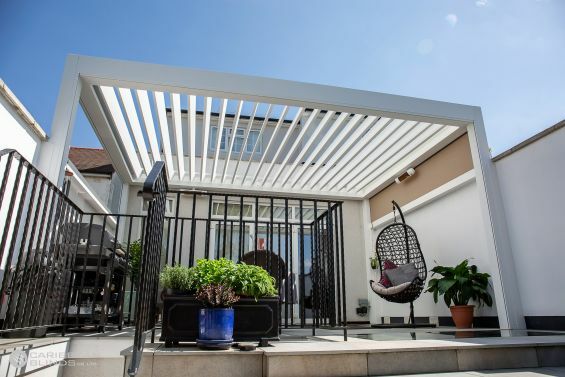 The reason the Outdoor Living Pod™ is an Award Winning louvered roof system is because of its stunning design, practicality and innovative features. We have refined the design over a number of years and we understand the fundamentals that are needed to enjoy outdoor living in comfort. With over 30 years of industry knowledge and connecting with our clients we are familiar with the certain needs and desires to provide an outdoor living retreat with no drawbacks. We have a process that leaves no surprises that customers appreciate. 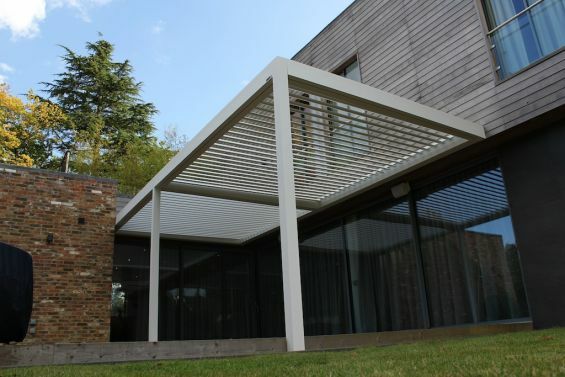 Over the past few months during this sweltering weather you can imagine how inundated we have been with enquiries regarding our External Shading and Outdoor Living Solutions. The sunshine has uncovered solar heat issues that would not normally be apparent during the cooler months so people are desperate to resolve these problems to restore the balance in their homes and gardens. 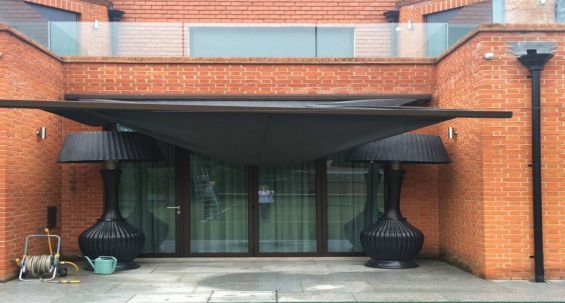 With the dry warm weather now a distant memory and the inclement weather upon us, awnings can now function to provide shelter from rain showers, that is, with the right pitch. The August 2016 version of Grand Designs magazine (out now), based on the popular C4 TV programme Grand Designs provides a 3 page feature on external shading, looking at the different types of systems on the market, benefits of each, typical costs and most importantly key considerations when thinking about external shading for your property. How Much Do Our Products Cost? 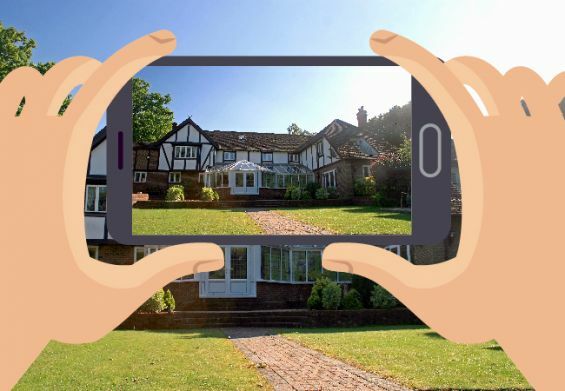 We understand however that prior to having a survey carried out, most clients in the first instance want an indication of guide price for their requirements to ensure it is within the budgets they have set and so as not to waste their time (and indeed ours). 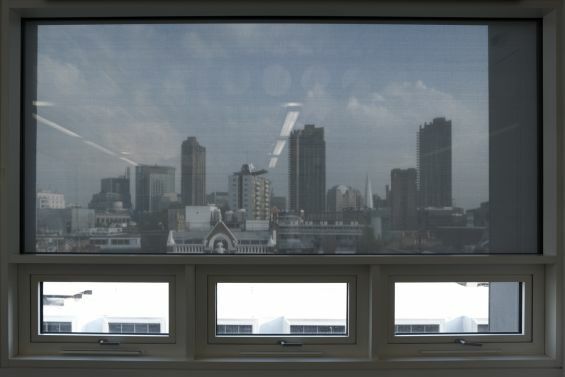 With a significant increase in enquiries for external roller blinds for glare control, which has been heighted due to the low winter sun reflecting off the snow covered ground, we thought we would post this useful article on making the right fabric selection to provide sufficient glare control. 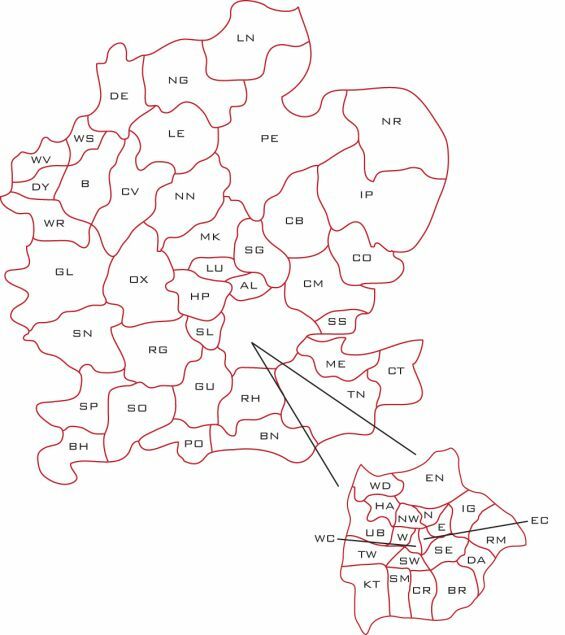 The map above shows the postcode areas in the UK we currently cover for both direct consumer and trade enquiries. For larger specialist projects (contract work) we can provide a service across all of mainland England, Ireland and the majority of Scotland too. 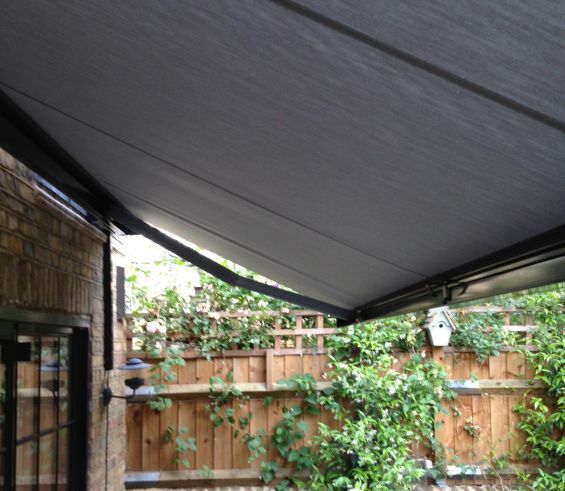 How much wind can patio awnings withstand? 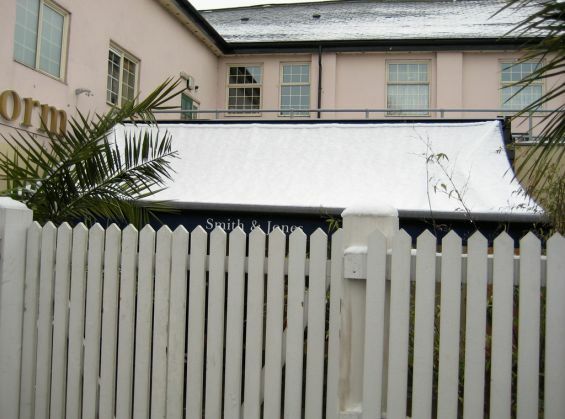 All our patio awnings have been extensively and rigorously tested to ensure they will withstand consistent strong breezes and stronger gusts of wind (albeit not 100mph) with the patio awnings we supply direct, featuring the strongest folding arms of all UK manufactured awnings, certified to the highest wind speed classification under European Quality & Safety Standard EN13561 (which all awnings must be tested to) - Beaufort 6, 30mph; Large branches in motion. Whistling heard in overhead wires. Umbrella use becomes difficult. Plastic bins tip over, giving you re-assurance that the sudden changing British weather, calm one minute, gusty the next won’t pose a problem for our patio awnings. Our patio awnings, like out external tensioned roof blinds and external roller blinds are available in any RAL colour – that’s more than 200 colours as standard, with most clients opting to have all the hardware (cassette casing and folding arms) finished to match the colour of the door/window frames (bottom left photo) or the façade itself (bottom right photo). 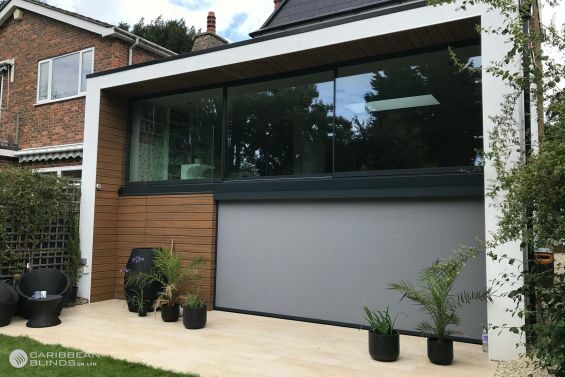 We are noticing an increase in enquiries to shade glass boxes (as pictured above), an all glass extension using structural glass to create a frame free conservatory that maintains a seamless connection to the outside. Whilst these structures certainly have a wow factor they often end up becoming unusable due to excessive solar heat and light that causes both thermal and visual discomfort. 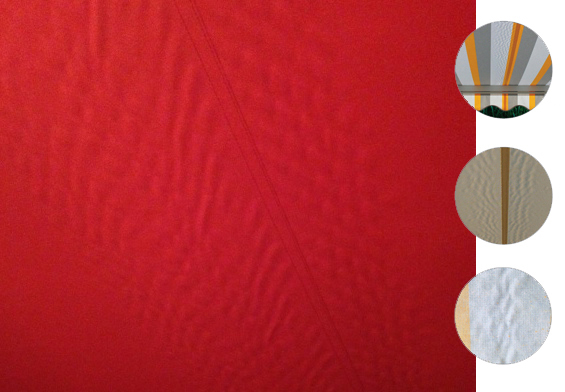 We were recently asked to comment on the above photo of a competitors awning about the waviness / rippling around the seams which the dealer had been advised by their supplier was a ‘natural characteristic’, so thought we would post this in depth article about this particular characteristic of awning fabrics that sometimes (when not advised at point of sale) gives cause for complaint, however, despite even the most advanced confectioning machinery and techniques cannot be eradicated. 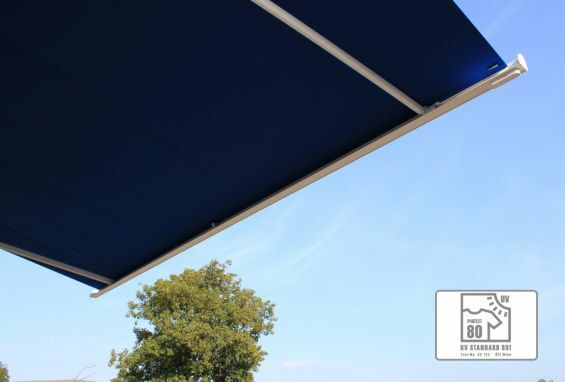 To what extent are UV rays filtered out by your awnings? 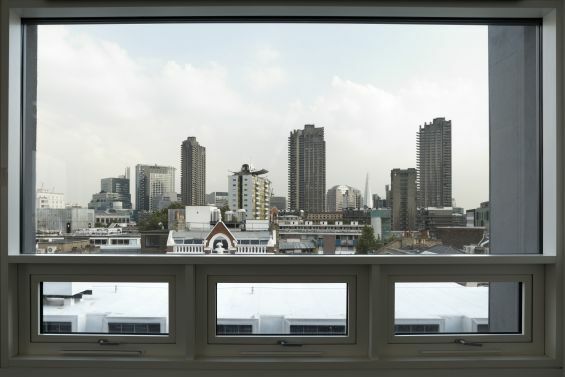 Following on from our article on Friday – Openness Factor, we thought we would post this relevant follow up article on managing natural light to avoid glare. 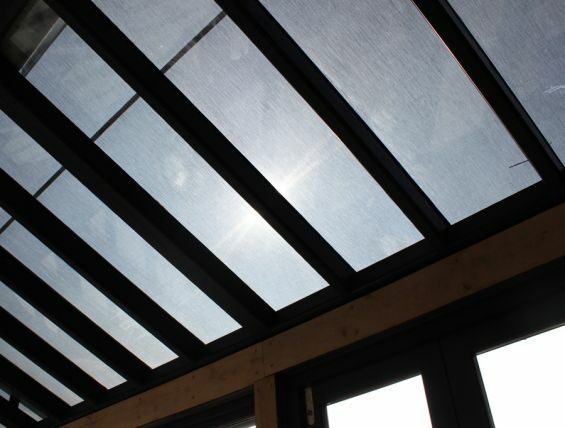 Following questions we were asked earlier this week pertaining to the various openness factors of the solar control mesh materials featured on our external roller blinds and tensioned roof blinds and what it all meant, we thought we’d post this comprehensive article to clarify. What Power Supply Is Required For The Outdoor Living Pod? 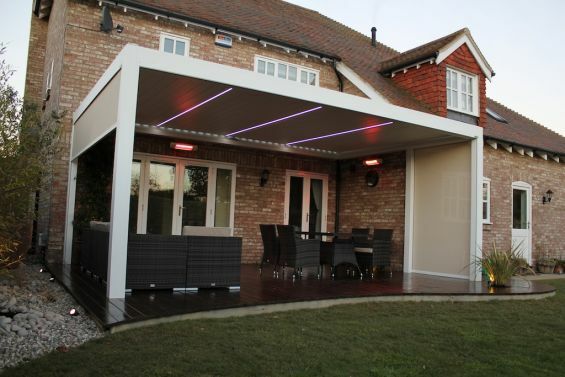 The Outdoor Living Pod (OLP) motorised louverd roof, optional screens and led lighting can all be powered from a single standard 13amp domestic power socket. If you opt to have heating installed, each heater will require its own separate 13amp power socket as they draw approximately 10amps each (dependent on model) constantly when switched on. Can Screens Be Added Later To The Outdoor Living Pod? 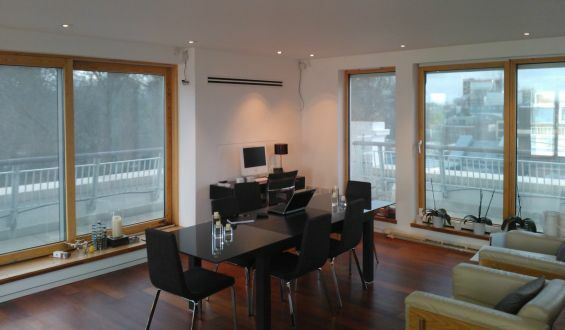 It is possible to add screens to the Outdoor Living Pod (OLP) at a later stage. The cross beams which the screens are integrated within, are the same for an OLP with screens, as they are without, the only difference is the post uprights, which need to have a separate guide attached to them which the screen material and lead rail runs up/down and is locked within. 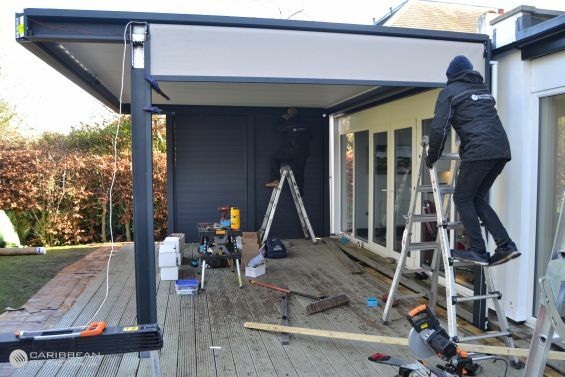 How Long Does It Take To Install The Outdoor Living Pod? A typical residential installation of our Outdoor Living Pod (OLP) takes just two days. Where there are extensive preparatory works (ie groundworks) or multiple modules (see above photo) fully loaded complete with all options (screens, lighting, heating) this may add an extra day to the install period. What Foundations Are Required For The Outdoor Living Pod? Ideally a solid concrete base provides the ideal surface for the Outdoor Living Pod (OLP) to sit on and be attached to, however, an average sized Outdoor Living Pod equipped with screens weighs less than 500kg so can be mounted / positioned on all types of ground surfaces including timber decking, patio slabs and block paving. Do You Need Planning Permission For An Outdoor Living Pod? 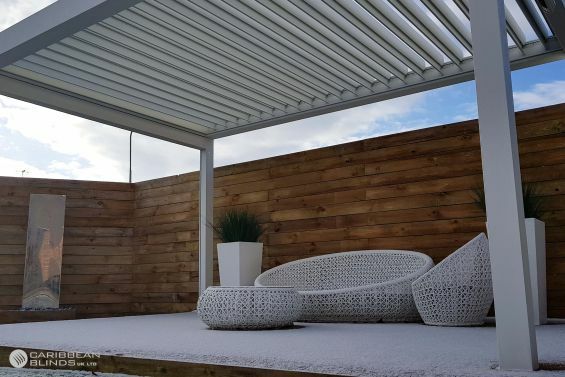 As this week is the run up to Grand Designs Live Birmingham (kicking off on Friday - 4th) where we will be showcasing our exclusive Outdoor Living Pod (OLP), we’ve decided each day to post the answers to the most common frequently asked questions. So to start - is planning permission required for our OLP? Even Curved Facades Don't Phase Us! We can achieve what other companies just cannot. 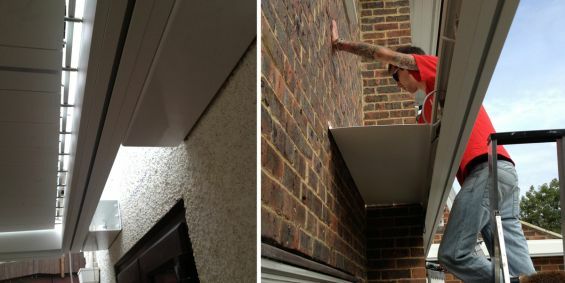 Following on from our article on the 15th - Overcoming Obstacles - the above photo is another example of how our unsurpassed technical knowledge and experience allows us to provide solutions to even the most awkward of situations. When installing our outdoor living products including our Outdoor Living Pod and Patio Awnings to the rear of houses and commercial establishments, it is not uncommon to have to overcome obstacles on the wall, such as fixed soil pipes or drain pipes that cannot be moved or to be confronted with a staggered property line, where half of the property is set back from the other part but the shading system is required to run the full width.